Special effects created with the photos taken on 6-19-2010 for the Memorial Ride for Channon and Chris. 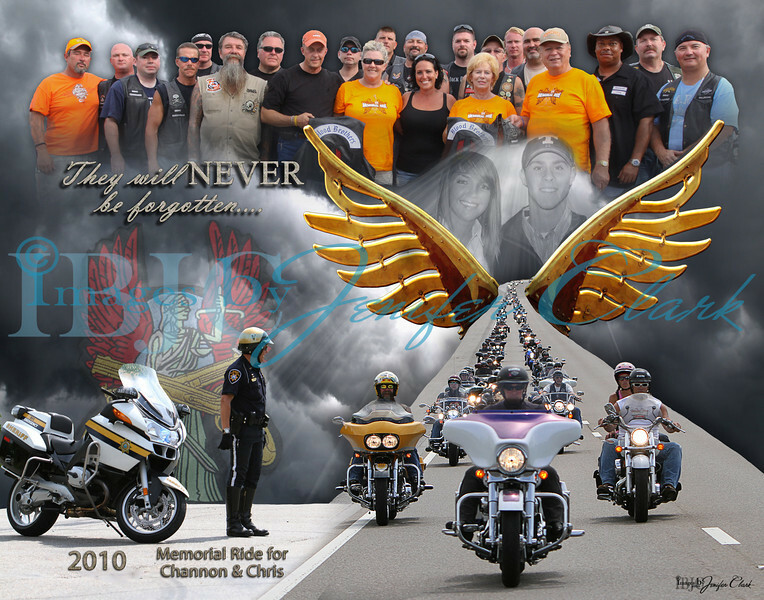 Channon & Chris Memorial Ride hosted by the Blood Brothers. Pricing for this print is now available in 2 sizes. 11x14 and 16x20. If you need a different size, please contact me for pricing.